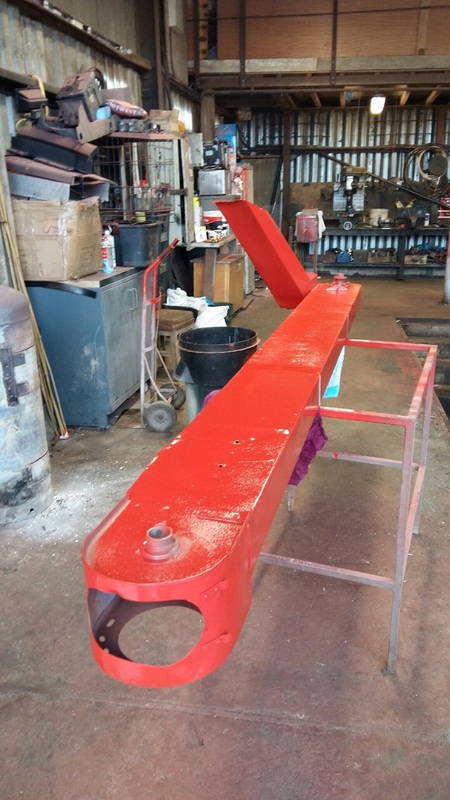 This story takes us back to Massey combine restorer and collector Andrew Blagg from Nottingham England who has previously been featured on Yellowswirl returns with his MH 21 model, one of very few machines now still working in the UK.Despite Andy's very busy life as a contractor he hasn't wasted anytime in starting work on his latest purchase, this combine was quite an &nbsp;unexpected addition as he went and looked at a fellow vintage collectors line up of machinery and inevitably ended up with the 21 as the owner had decided to downsize some of his collection. 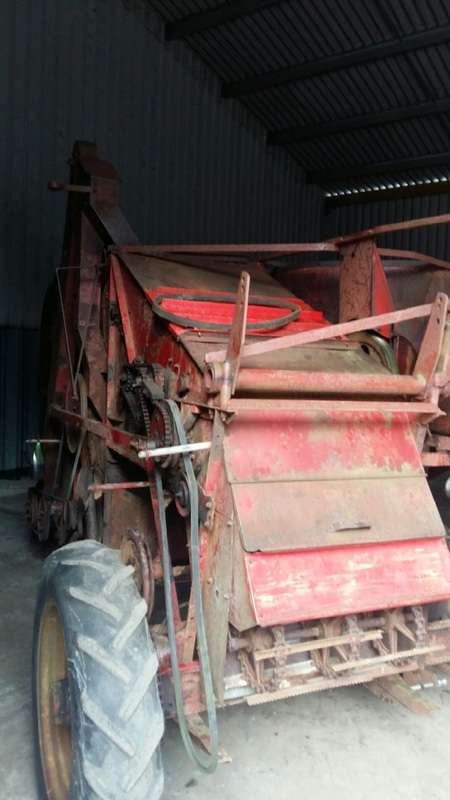 The combine was in very good condition and had over its working life been fitted with various parts and canvas and was in working condition but would require a lot of tlc if it was to ever see any harvest action again. 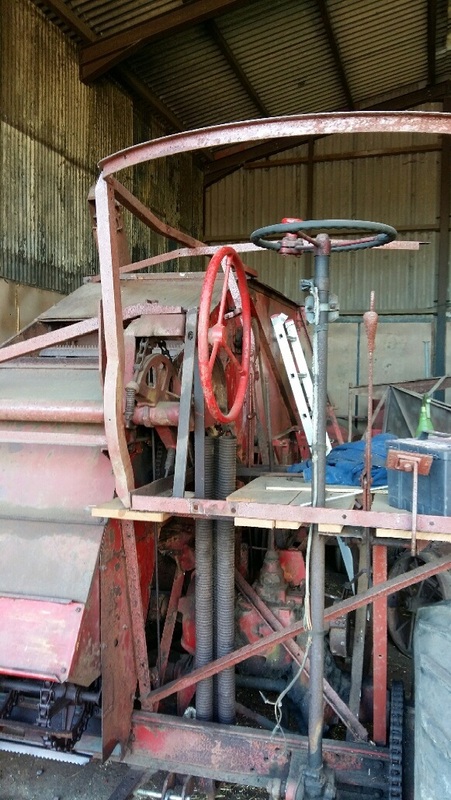 Andrews combine is a 1945/6 model fitted with a petrol Chrysler 5.7 engine approximately 55hp, it is not known when the combine arrived here in the UK but what we do know now is there are very few working examples left in the UK so it's thanks to Andy and his team at Nottingham that at least this one will survive to remind us all just how far we have come from those humble beginning. 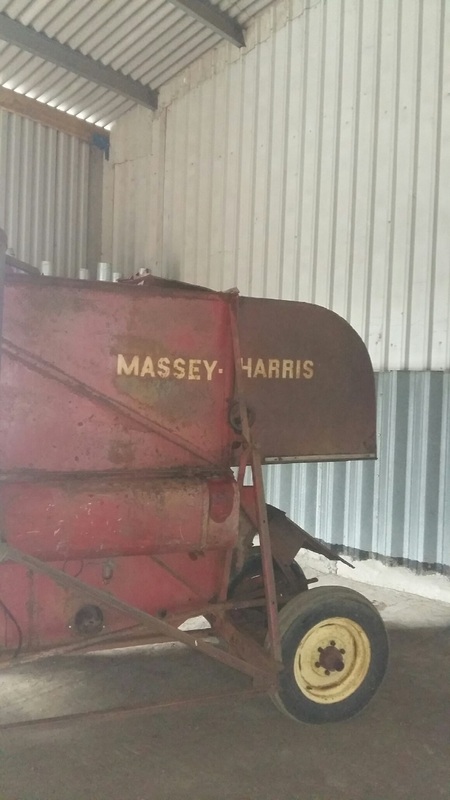 The Massey Harris 21 combine was indeed one of the most iconic models ever built, it was responsible for changing the way crop harvesting was carried out worldwide and things would never be the same again. 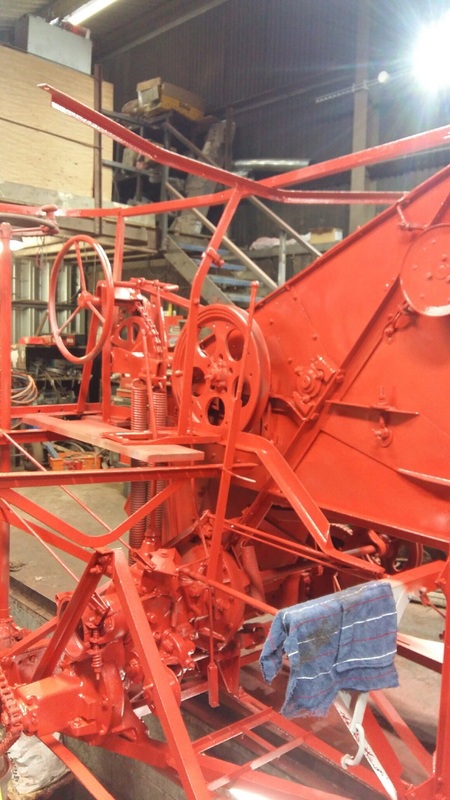 Just before the outbreak of World War 2 Massey Harris had built the model 20 and shortly there after the 21 model followed and proved very successful in many trials throughout the country. 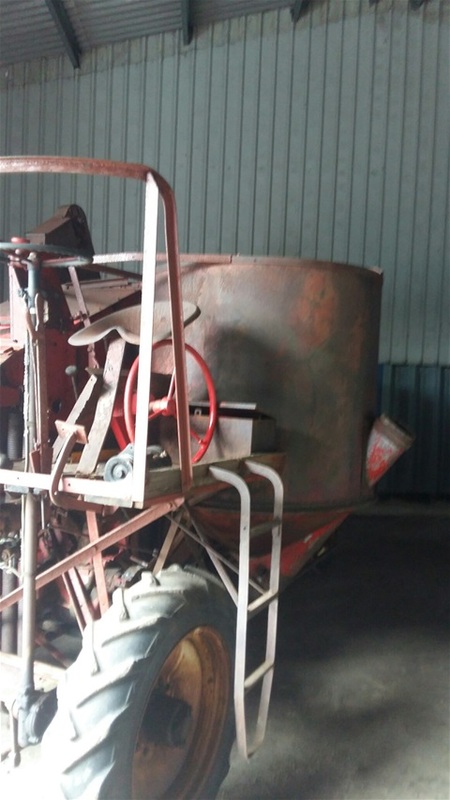 The name Combine comes from the fact that these self propelled models could combine several jobs i.e. 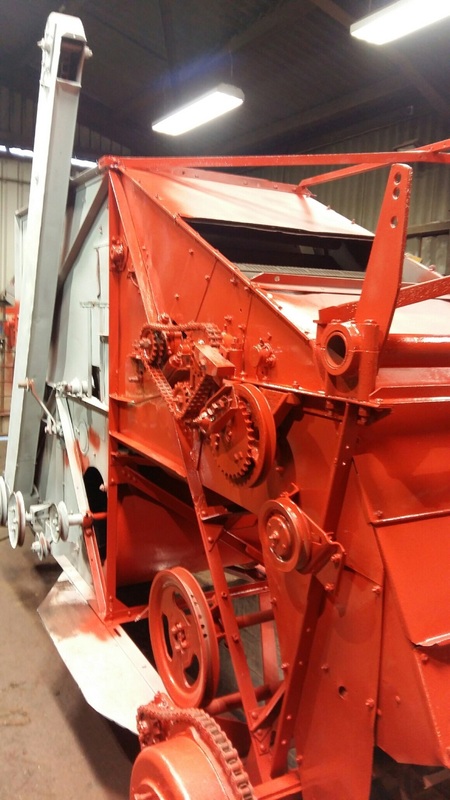 Cutting thrashing and separating actions all in one operation, unlike the various other methods used before which had to be towed by a tractor or indeed pulled by teams of horses. 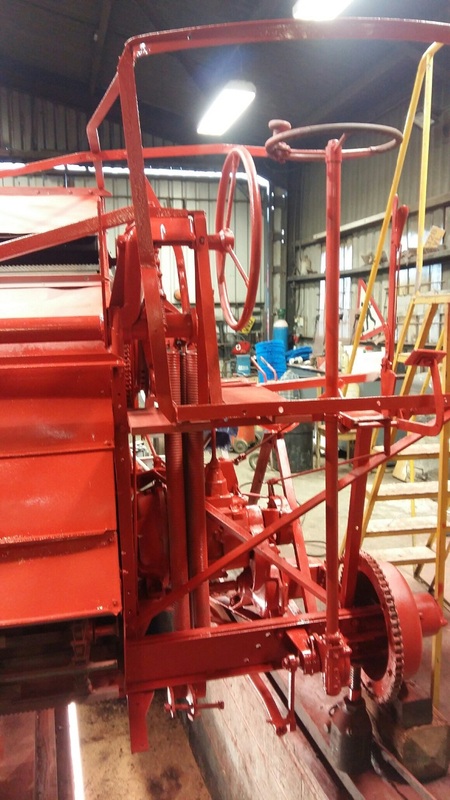 In 1944 the American government was persuaded to allow the use of enough raw materials to allow Massey Harris to build 500 combines and this year we saw the launch of the Harvest brigade that carried out the harvesting of over Million acres by this vast team of men and their machines, and as the war years came to an end the battle to feed this great nation would be won also by this very humble machine which would come to symbolise the start of the self propelled revolution in combine harvesters that has continued to this very day. The work that lies ahead is quite formidable! The next chapter of this combines life awitsi it! Most of it is there! But plenty to do. 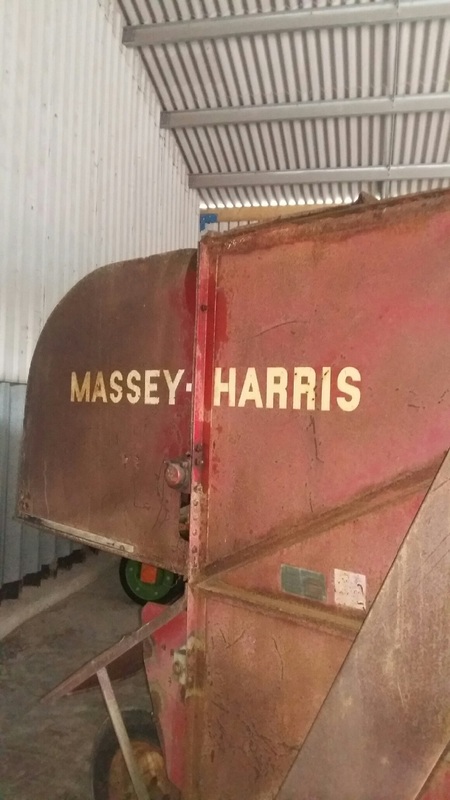 The proud name of Massey Harris still instantly regonised despite its 70th year vintage! 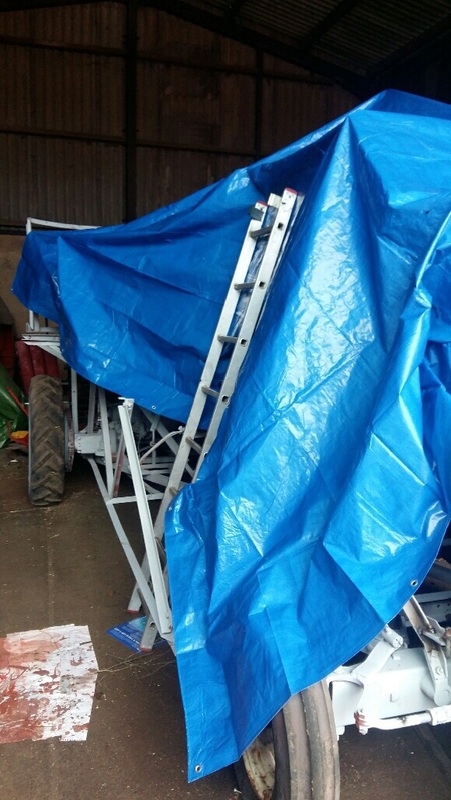 Work is carried out on the rear hood with numerous points of corrosion to deal with. 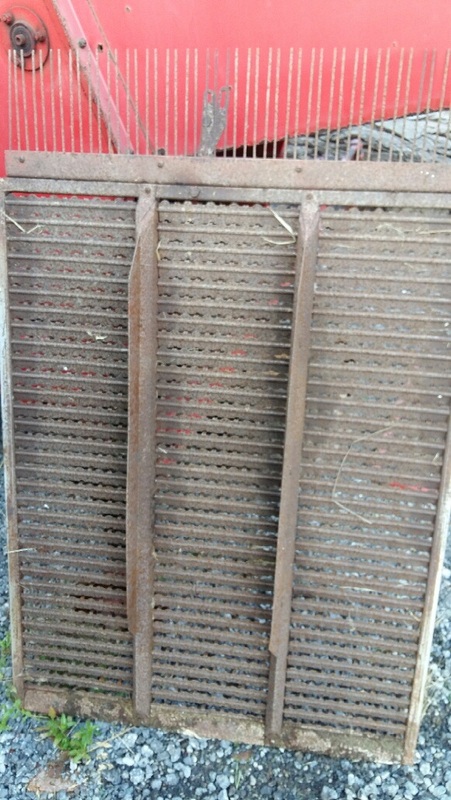 The strip down of this combine continues nothing is left to chance, every working part took off inspected refurbished! The sieves removed for cleaning and inspection, these are very difficult to repair as we have found out on our refurbishments! 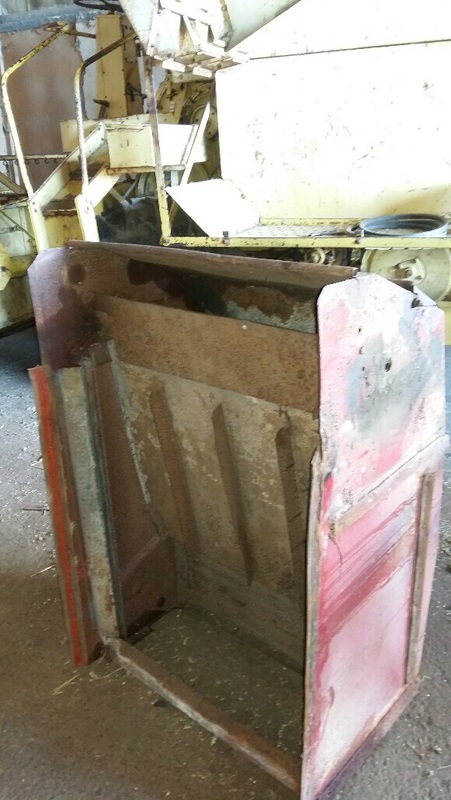 Left side of the operators platform looking bare and receiving its colour that hopefully will sustain it another 70 years! 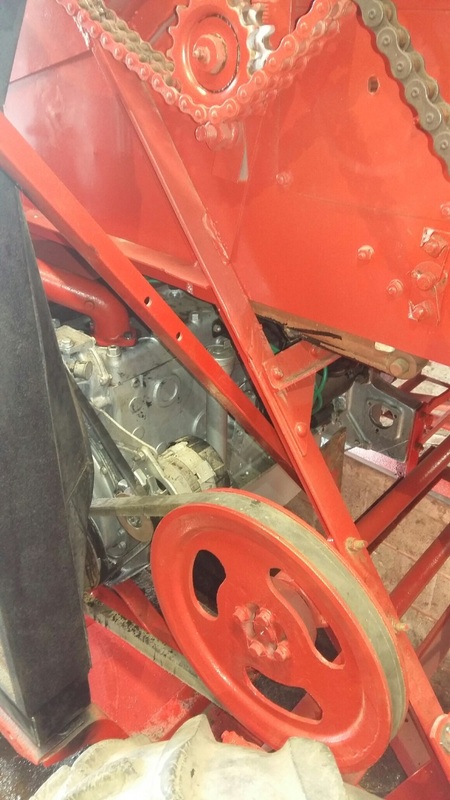 The Chrysler engine is shoehorned back into its workplace under the elevator and cylinder house, it is ran up and connected to the main cylinder drive to check for alignment. 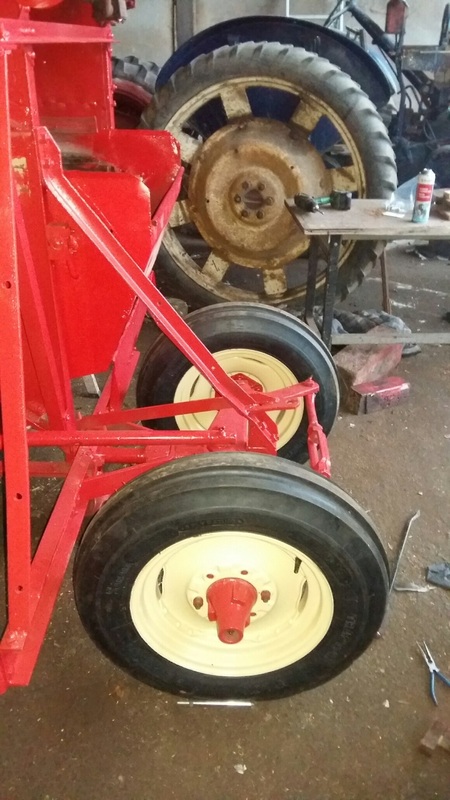 After many months of toil the wheels are returned a major landmark that will make it much easier for Andy to move it around in his workshop. 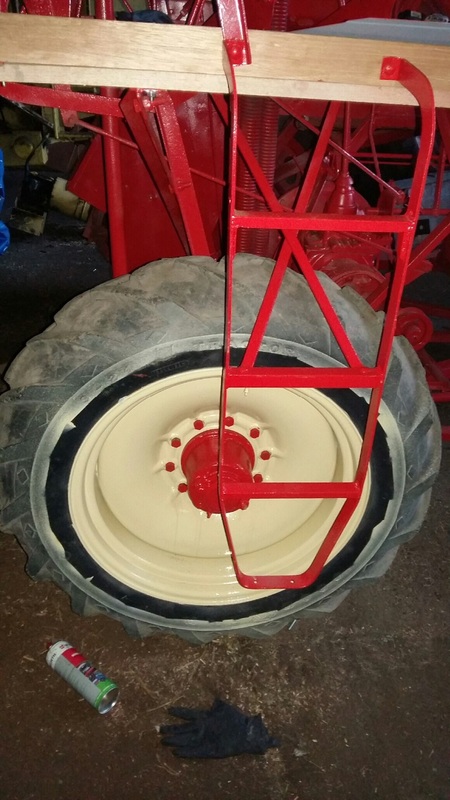 The ivory cream colour scheme of the wheels are a striking contrast to the deep red of the combine.